The Russian defense news website defendingrussia.ru has given insight into the air defense systems that are currently being used by the Syrian army. With Moscow recently signaling its readiness to continue to deliver military equipment to Damascus, the Russian defense news website defendingrussia.ru asked what air defense systems are currently being used in Syria. The air defense forces are believed to be the most advanced units of the Syrian army, according to defendingrussia.ru. Before the fall of the Soviet Union, it was Syria's main air defense system supplier; however, folliowing the break-up of the USSR, most of these weapons systems were in dire need of modernization by the late 1990s. In the mid-2000s, the Syrian authorities adopted a policy of modernizing the country's national air defense forces, which ultimately received a whole array of Russian-made anti-aircraft missile systems. These included Ingla portable air defense missile systems, the Pantsir-S1 surface-to-air missile system, the Pechora self-propelled air defense system and the Buk-M2E medium-range advanced defense missile system. At the moment, the Syrian air defense forces are split between the South and North zones, which are controlled by three computerized command posts. Right now, the country's air forces include 25 brigades and two separate regiments equipped with Kvadrat and Buk-M2E self-propelled anti-aircraft missile systems, as well as Osa-AK/AKM self-propelled short-range missile systems and Pantsir-S1 and S-200 surface-to-air missile systems. 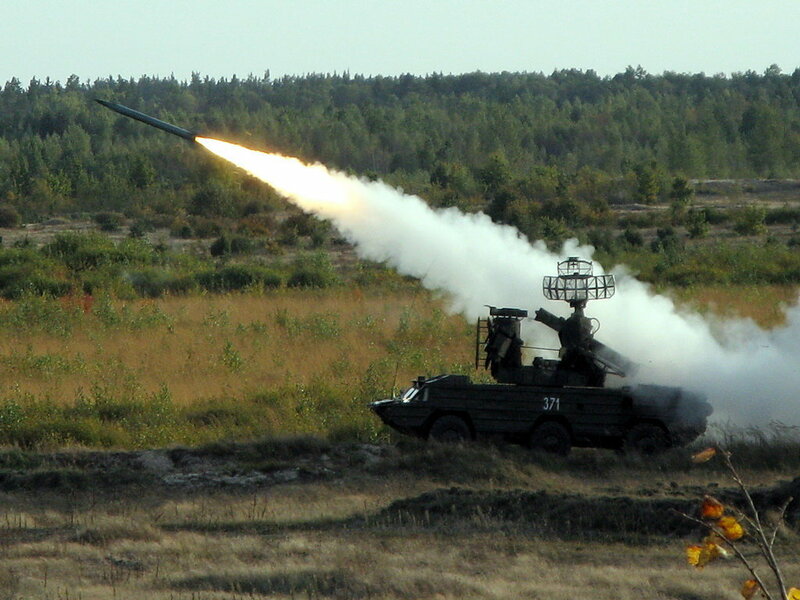 Also in service are S-125 and S-75 surface-to-air missile systems. The site concludes that despite Russia's supplies of sophisticated Buk-M2E missile systems to Syria, its national air defense forces, including radar systems, remain in a process of permanent modernization.